They didn´t believe that I could Pass in a Week, BUT I DID! My name is Stephanie Bagnall and I learned to drive in a week!! I used an Intensive Course to do this. looked the best from the websites. I also wanted to do an Intensive Course, and learn to drive in a week. I got his contact number via the website. How did the learning to drive compare with what I expected? Not as half as scary as I thought it would be. I really enjoy driving now whereas before my lessons I was really nervous. Mike´s teaching methods were incredible. I learnt quickly from simple and easy to comprehend instruction which was easy to recall when I am independently driving. I would recommend Mike 100% because he is patient and an excellent teacher. I learnt extremely quickly and with confidence thanks to Mike. If you are looking for intensive driving lessons in Swindon, then you are in the right place! Pass quicker, save money and give yourself the best possible skills that you can use for the rest of your life. 2 - 10 Day Intensive Driving Courses in Swindon. Theory Test to have been passed, so that Practical Test can be booked. 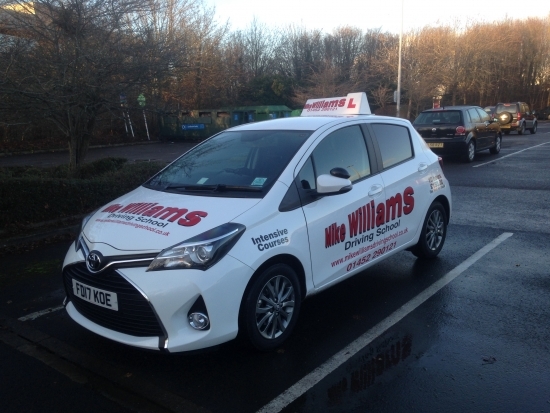 Years of experience of driving lessons with proven results in Swindon. The fastest intensive driving courses in Swindon! We are on your doorstep for an intensive driving course and offer you the shortest notice intensive driving courses in the whole of Swindon. Call us now on 07863239331. Your call will be re-directed straight to an instructor. If they are unable to answer please leave a message with your name, number and where you live. Your call will be returned shortly. If you want to learn to drive in a week, or need just a day or two refreshing, we can normally arrange a prompt start. We can quickly assess your needs with just a short phone call. This is not only because our instructors have been doing crash course driving lessons for many years. It’s also because they have the skills to get on top of any problems and show you how to stop them from becoming bad driving habits. It’s the help and advice we offer sets us apart from others. We find out about your driving history, if any. What preconceptions you may have about lessons, and explain how you can minimise the time it takes you to learn. You can benefit from the fact that we are unique in Swindon, by only having first class instructors. 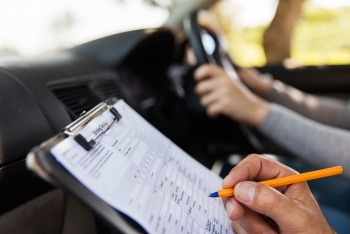 Many driving schools simply allocate second class, grade B instructors to a one week driving course, knowing that their potential customers know nothing about instructor grading. Do you? National companies who advertise as one week intensive driving course specialists will often take hundreds of pounds as a ‘deposit’ from people like you just for getting an anonymous instructor that they have never met to contact you. Not us! How do we know this? Because our instructors get unsolicited e-mails from them too! These money makers then simply post course details on websites, enabling any instructor to claim the course. Once the course is claimed and allocated, the provider has completed their contract with you and your deposit is gone. What sets our intensive courses apart? Well, to our knowledge no other intensive course driving school provider has a structured training programme for their instructors that aims to get them all to be of the very highest quality. Is our Intensive Driving Course right for you? We really want you to pass your test, possibly even more than you do. That’s because our driving lessons crash course instructors aren’t the sort that are happy just to go through the motions, we don’t recruit people like that. Our instructors take pride in what they do, and enjoy the satisfaction of getting people through their test first time. They don’t want you just to ‘have a go’ at your driving test, they want you to pass. What sets the best driving crash course instructors apart from less dedicated ones is that we want to complete our job, and not leave it half done. Are you ready for an Intensive Driving Course? Learning to drive is exciting for most people, but are you ready for the frustration of your limbs not doing what you want them to immediately you start your week’s driving course, because often they won’t for a few hours. If you can’t relate to that try learning to juggle. Even with good instruction, balls get dropped all over the place to start with, but after a while you can keep them up in the air, like magic. It’s similar with a 1 week driving course. At first you’re often likely to move your left foot up when it needs to go down, because the right foot is often going the opposite way at the same time. When you’re driving however, unlike when you’re juggling, it’s impossible for you as a learner on your intense driving course to know how good the instruction is, because even mediocre instruction will get the car down the road. However if the instruction isn’t very good, you’re going to take longer to get to high standard to pass the test, if you reach it at all. Some companies that arrange fast track driving lessons will charge you the same for a trainee as a top grade instructor without making you aware of this. You won’t find us doing that. We will treat you as we would like to be treated ourselves. In order to cope with the situations that you’ll meet on your driving test you just need to have a few simple routines put firmly in place. However not all instructors from one week driving course schools put these routines firmly in place, some may be trainees or newly qualified and lack the knowledge that experience brings, but others will let their pupils get away with stuff for ‘a quiet life’. When the pupil then comes to the end of their crash driving course and fails they will tend to blame themselves or more likely the examiner, especially if the instructor then agrees with them that the examiner has a reputation for being harsh. What you need to ask yourself is this, is a first time pass what you are really looking for, because that’s the kind of focused customer we’re looking for? If you are looking to do a driving course to get a licence at the end of it so that you can really get on with your life and consider it money well spent then we’re the people who want to help you to achieve that aim. If that’s convinced you call us now on 07863239331. There are several courses to choose from and they all include the practical test. 36 Hour Intensive Driving Course £1124 6 Days 6hrs Per Day, recommended for the complete novice, well co-ordinated and quick learner.